Join us as we pray the Rosary on Tuesday at 6:00 p.m. Praying the rosary has been a tradition in the Church for a long time. 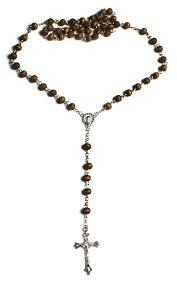 Your life can only be blessed if you start praying the rosary. Many abundant graces and spiritual benefits flow through it. We’ll be in our Seton Chapel. The Parish Life Committee will lead us in prayer. All are welcome. Future dates that we plan to pray the Rosary include April 2 and 9.